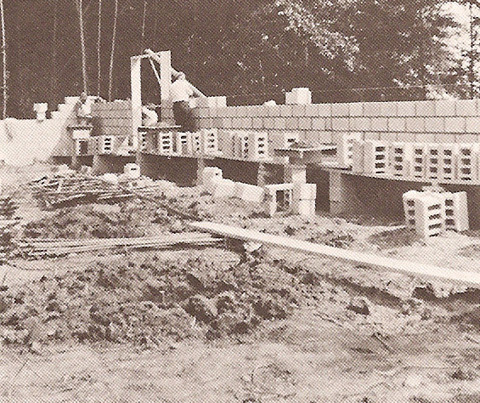 Up to 1956 the Club’s main problem had been the rental of halls for social activities. For at least ten years prior, the members had longed to have a hall of their own. As with most dreams, this seemed destined to remain beyond reach. Two men, however, with courage and vision combined their efforts to make this dream a reality. 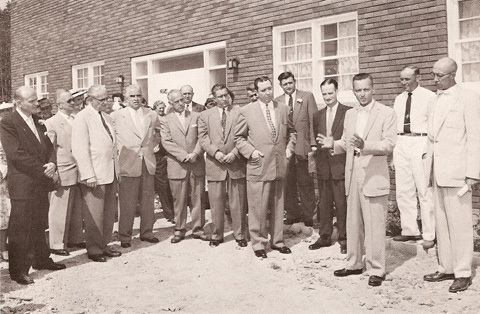 Against great odds, John Rapp Jr. (President) and George Schneider Sr. (Vice-President) set about the almost impossible task of convincing our members that a hall could be built. Their personal soliciting of all members for cash donations resulted in success. 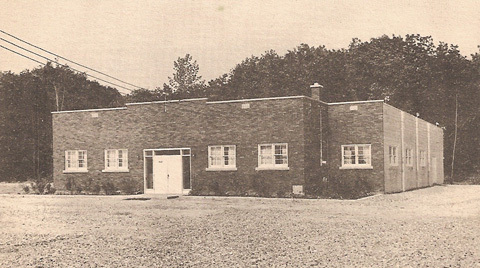 Late in the spring of 1955, a general meeting was called in the Dunn St. Fireman’s Recreation Hall. 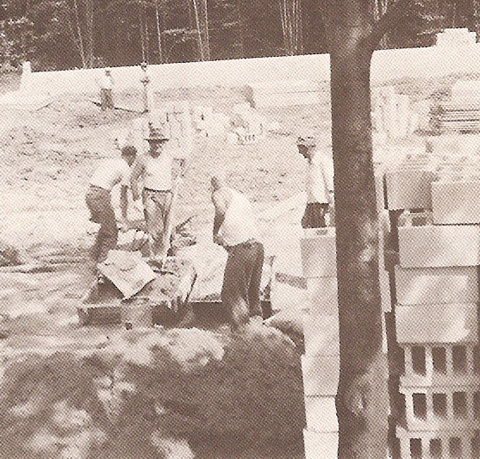 The $3000 received in pledges convinced the members that they could now go ahead with the project of building a hall. A Building Committee was formed, and with the full cooperation of the Executive Committee and the members, work was begun. Over thirty men donated their time during days and evenings and on weekends in order to complete this huge project. 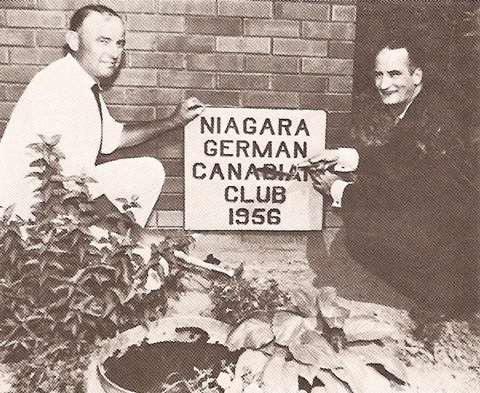 On February 17, 1956 the Niagara German-Canadian Club received its Charter, issued to John Rapp, George Schneider and Henry John Pfilf. 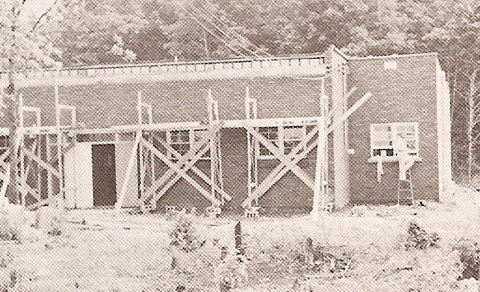 In the fall of 1956 the first dance was held in our new building. A dream was realized, the German Village was a reality! 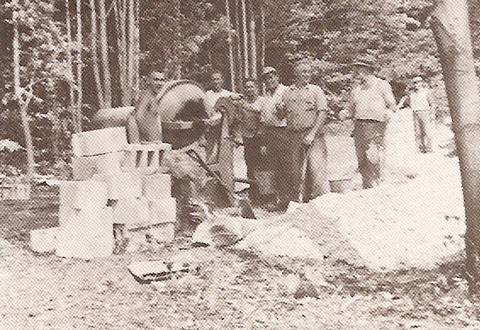 Its Grand Opening and Corner Stone Laying Ceremony was held on July 20, 1957. Copyright © 2017 Niagara German-Canadian Club. All Rights Reserved.